Marietta, OH (9/28/2018) - Hans Ada Racing’s Jacob Rosales continued to show great instinct and drive during the Lucas Oil Off Road Racing Series events at Glen Helen Raceway in Devore, CA. 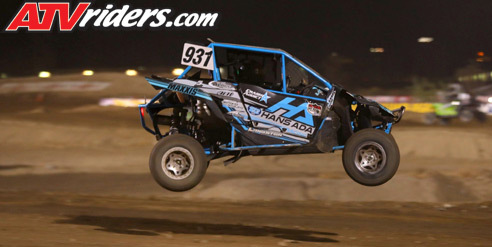 Rosales is contesting his rookie season in the Production 1000 UTV class, driving a Yamaha YXZ 1000R. The races were held on Glen Helen’s .8-mile short course. Known for both speed and technicality, the track was also rough during the weekend. In Friday’s race, Rosales drove from 16th to finish seventh. In Saturday’s event, Rosales was charging again in eighth when contact with another car sent him to the back of the field. He recovered to finish 14th in the 23-car field. Rosales and team owner Hans Ada set several goals at the start of the season. After stepping up from Sportsman, Ada kept those goals attainable. Rosales responded by exceeding every one of them. weekend. Along with Rosales’ consistent efforts, his other driver Mickey Thomas scored a victory and a third-place finish. It was made more special because this is where Ada took his first steps into starting his team. Ada was particularly pleased to see Rosales’ growth as a driver. 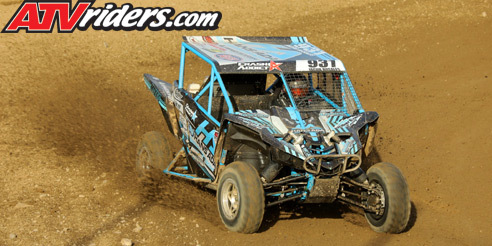 Rosales is in just his second year driving UTVs and he’s proved himself in what has become UTV racing’s most competitive class. Rosales will finish out the 2018 LOORRS season at Wild Horse Pass Motorsports Park in Chandler, AZ. The final points race of the year is scheduled for October 20, followed by the special event Lucas Oil Challenge Cup the following day.